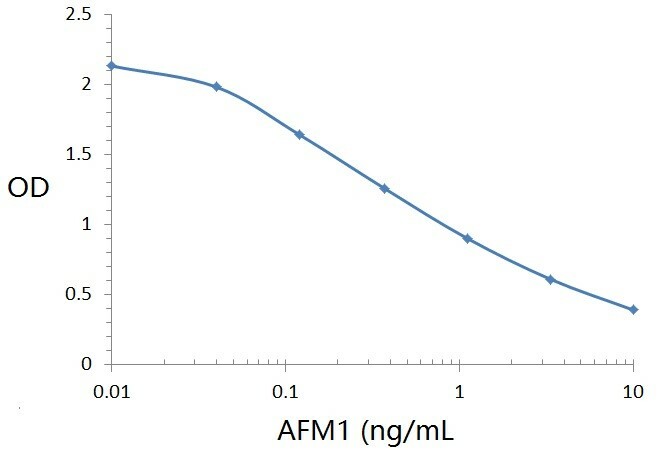 This product is cross-linked Aflatoxin M1 to Horse radish peroxidase (HRP). It is useful as an antigen-labelled peroxidase paired with the anti-Aflatoxin antibody in a direct ELISA. 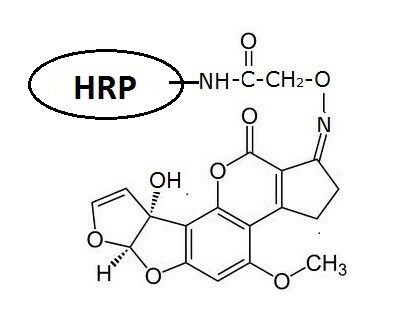 Aflatoxin M1 methylcarboxyloxime linked to HRP via amine acylation. Product is stable for at least 30 days at room temperatures. For extended storage, store at –20ºC. Expire date is six months from the date of shipping if stored properly.